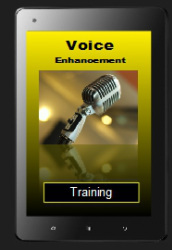 Voice - (EPT) Excellence Private Training Sign up online today! PaSTOR D sign up today for private training (In-Home). We provide piano, guitar, bass, keyboard sequencing, voice, song writing lessons. Also audio & video production graphic design, website designing and ministry preparation & bible training. Voices lessons can be very helpful and informative for those who desire improvement. My experience as a voice coach has made it clear that most people are in need of voice discovery rather than voice improvement. Many of the techniques that making singing effective are unknown to most people. In like manner, most people are not even familiar with what range they sing in, voice tone, etc. Voice lessons usually begin with discovering what type of voice you have and what your strengths and weaknesses are as a vocalist. After voice discovery, you are more ready to work on voice improvement techniques.